Juvenile polyposis (JP) is a hamartomatous polyposis syndrome, characterized by autosomal dominant transmission. Patients with JP have a propensity to develop polyps throughout the large bowel, and some will also develop these in the upper GI tract. The polyps can be numerous or few, and are not adenomas, as seen in familial adenomatous polyposis. The disease can be familial or sporadic (non-familial), and there is an increased risk for cancer of the GI tract. 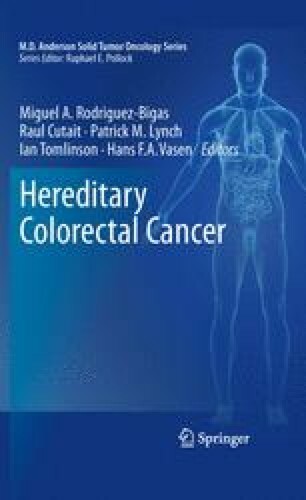 In this chapter, we will review the history, clinical features, histopathology, risk of malignancy, therapeutic options, and genetics of JP.